NEW YORK -- Nick Ciuffo received his second non-roster invitation to big league camp two months ago, but the 22-year-old catcher will not be allowed to play until sometime around June. On Saturday, Major League Baseball announced the suspension of Ciuffo and three other players for violating the Minor League Drug Prevention and Treatment Program. The Rays' 27th-ranked prospect was banned 50 games for a second positive test of a drug of abuse. Pirates infielder Mitchell Tolman received the same punishment for the same violation and Phillies right-hander Steve Geltz was suspended 100 games for a third positive test for a drug of abuse. Padres right-hander Alex Cunningham will miss 50 games after testing positive for Amphetamine, a stimulant. Ciuffo, 22, was the Rays' Defensive Player of the Year for two seasons running and his arm rates a 60 on the 20-80 scouting scale. The 2013 first-rounder batted .245/.319/.385 with 37 extra-base hits in 102 games for Double-A Montgomery in 2017. "We are disappointed by Nick's actions, and we expect more from our players," Rays senior vice president of baseball operations and general manager Erik Neander said in a statement. "We hope that Nick will take this opportunity to reassess his priorities, both during Spring Training and once the suspension takes effect." Tweet from @nciuffo14: I��ve made a mistake and I take full responsibility for my actions. I want to apologize to the Rays as an organization for the distraction this has caused. I apologize to my teammates and most importantly my family. 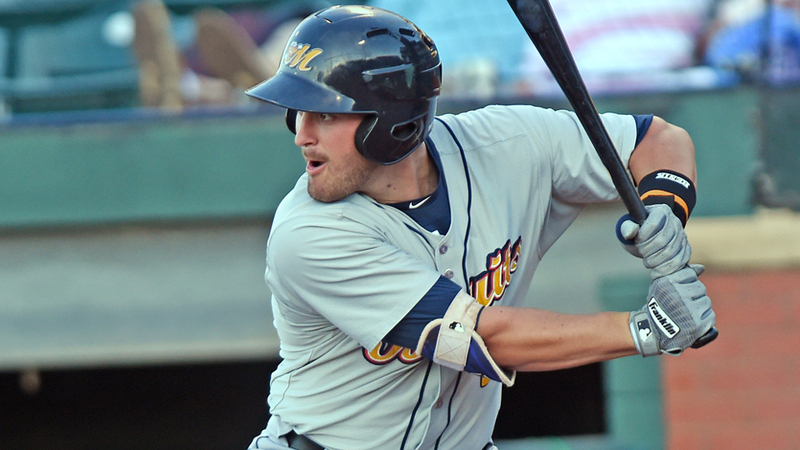 Tolman, 23, was selected by Pittsburgh in the seventh round of the 2015 Draft and worked his way up to Double-A for three games last year. He spent the bulk of the season with Class A Advanced Bradenton, putting up a .267/.364/.393 slash line with nine homers, three triples, 19 doubles and 14 stolen bases in 115 games. Geltz, a 30-year-old veteran of 10 professional seasons who's pitched in 110 big league games, posted a 2.67 ERA in 23 games out of the Triple-A Oklahoma City bullpen in 2017. The Phillies signed him as a Minor League free agent with an invitation to Spring Training on Jan. 3. Cunningham, 23, was San Diego's ninth-round pick last year. He went 0-1 with one save and a 5.73 ERA in eight games, including one start, with the Rookie-level AZL Padres, Class A Short Season Tri-City and Class A Advanced Lake Elsinore. The four players bring the total of Minor Leaguers suspended this year to 18.